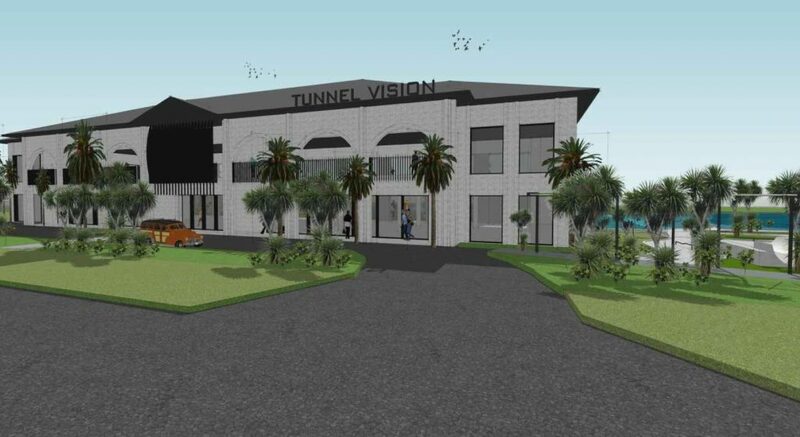 A development application has been lodged for ‘Tunnel Vision’ a proposed Tourism Wave Park, located on the Pacific Highway, Loganholme. 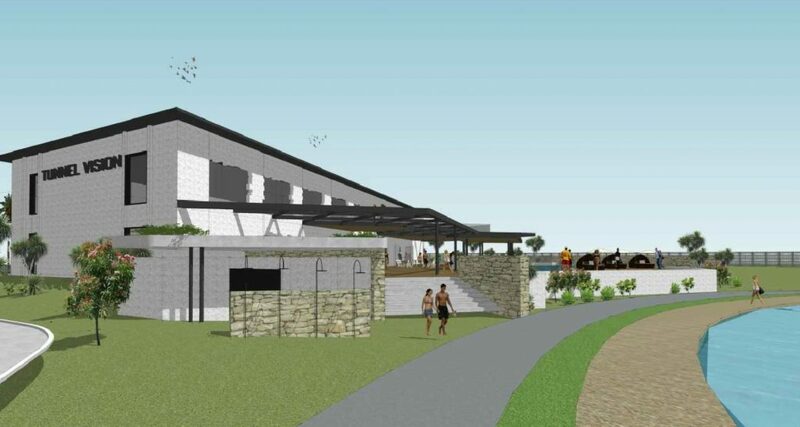 Designed by Base Architecture and Webber Wave Pools technology, the proposal is for a mixed use development comprising outdoor and indoor sport and recreation activities, Shops, Services with associated facilities. 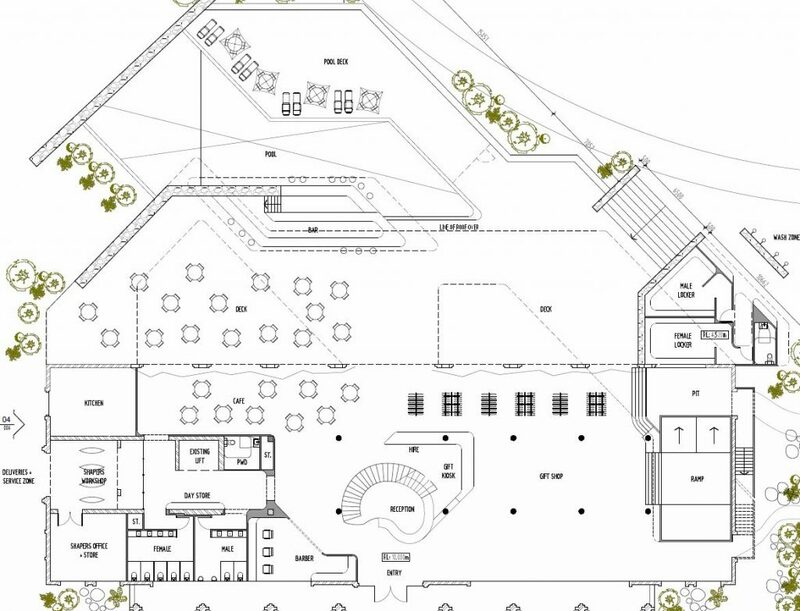 The existing two storey building and car parking area will be repurposed, the council sewerage pump station is retained, with all other structures removed to facilitate the redevelopment. 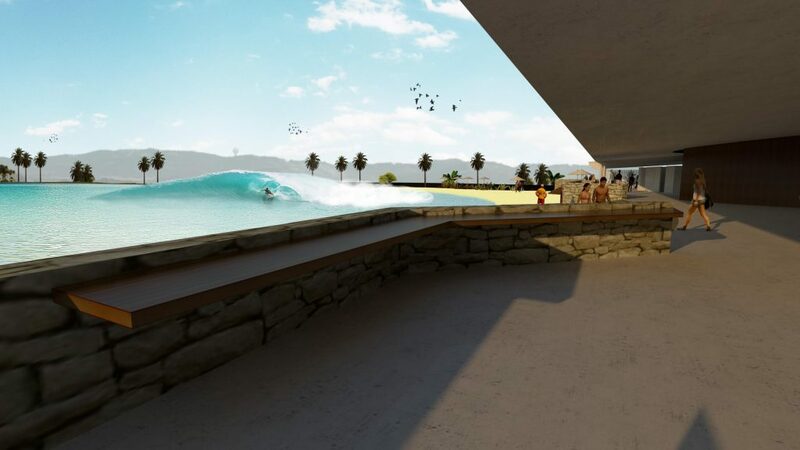 Powered by Webber Wave Pools technology, the wave pool will create artificial barrelling and crumbing waves at different heights (ranging from 1m to 2.5m) and lengths (20m – 150m) and will cater for both left hand and right hand users. 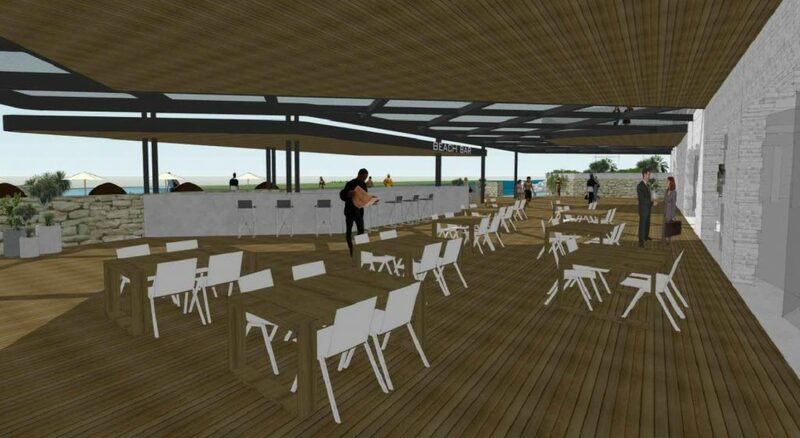 The facility will provide a turfed island and beach ‘drop off’ areas. 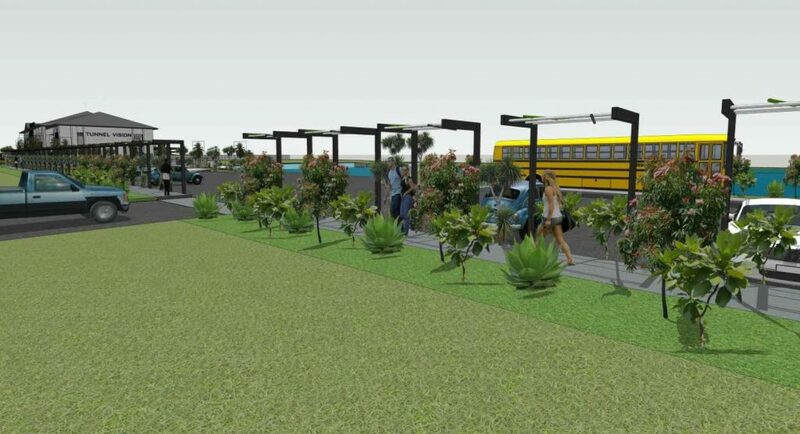 The proposed tourism facility has been designed with an open car park, which provides 73 car park spaces (including bus and disability parking). 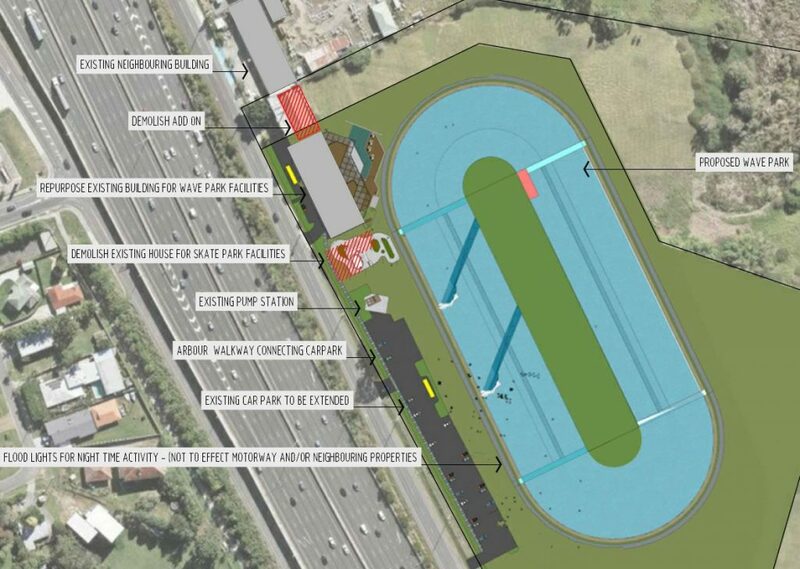 Vehicle access is proposed via three (2) new driveway entrances, one (1) new and one (1) retained exit to the Pacific Motorway (eastern) service road. 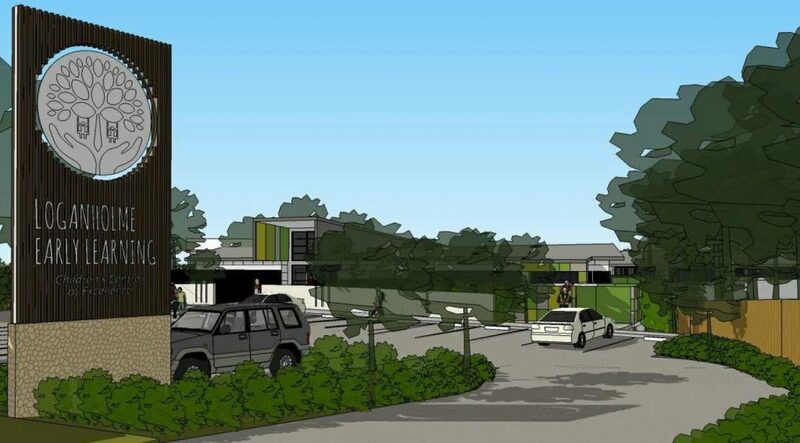 The planners at Gassman Development Perspectives state, “the proposed use will provide the municipality with a state of the art facility for the Loganholme region with a valuable and attractive development that will contribute to the City’s image and provide a tourist destination within South East Queensland, and for interstate and overseas travellers”. 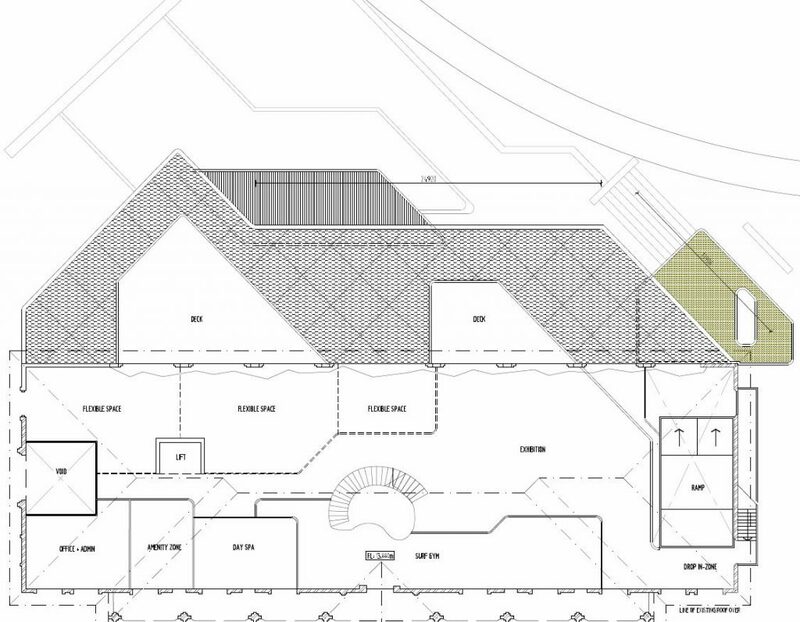 The proposal includes 2,558sqm of GFA, with 19,800sqm (33%) site cover over the 6 ha site area of the 184,350sqm (18.4ha) site. 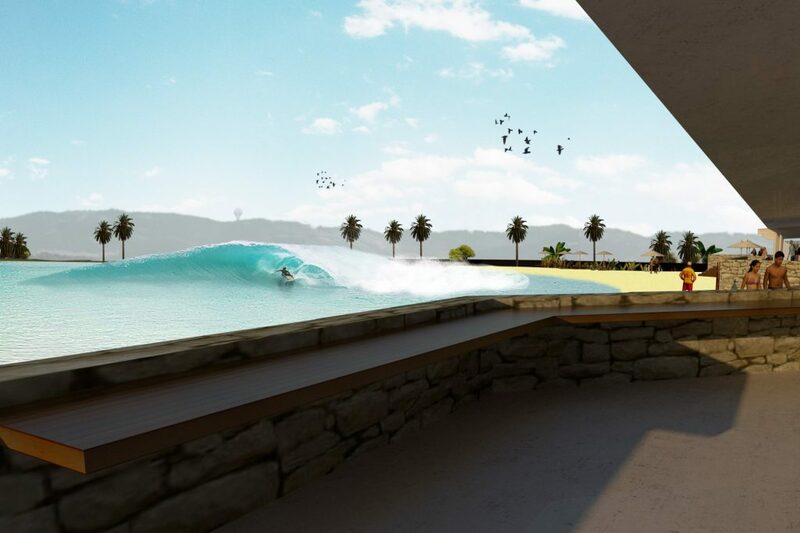 The remaining 12 hectares is to be further developed separately to the wave park facility.